Whether you have a lot of money to spend, or you travel on a budget, remember: Italy is an open air museum. You will find plenty of things to see and do for free. 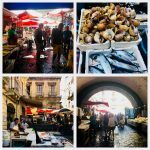 If you are visiting Rome, here are my top ten places to visit for free. They are organised in the form of a one-day tour. 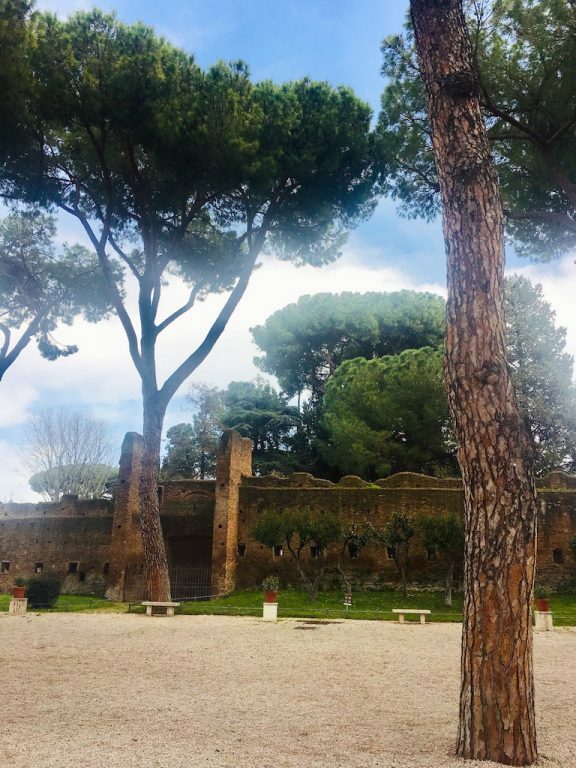 So, in case you are reading this post while you are already in Rome, take the metro and go to Circo Massimo. Take the exit in Viale Aventino, turn left and walk along Via del Circo Massimo (you will now have it on your right). Walk for a couple of minutes. Then, on the right, you will see a street food truck selling sandwiches and drinks. Cross the road and you will se some streets going up. One of the street stands behind a gate that is always open. Pass the gate and take that street and simply go up the Aventino hill, one of the richest and most elegant areas in Rome. 1. Take a rest in Giardino degli Aranci. Now take Via Santa Sabina. On the right you will find Parco Sabello, known as the Giardino degli Aranci, the Garden of Oranges. This small park limited by walls is quiet and romantic. Take a seat on the lovely terrace overlooking Trastevere and Saint Peter’s Basilica. Here you can rest, listen to some street musicians or eat a sandwich before continuing the tour. I suggest you to bring your own food. You might find trucks selling it outside, but it can be expensive and not always with good value for money. 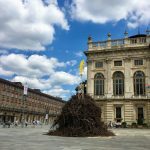 Get out from Giardino degli Aranci and turn right to continue on the Main Street. 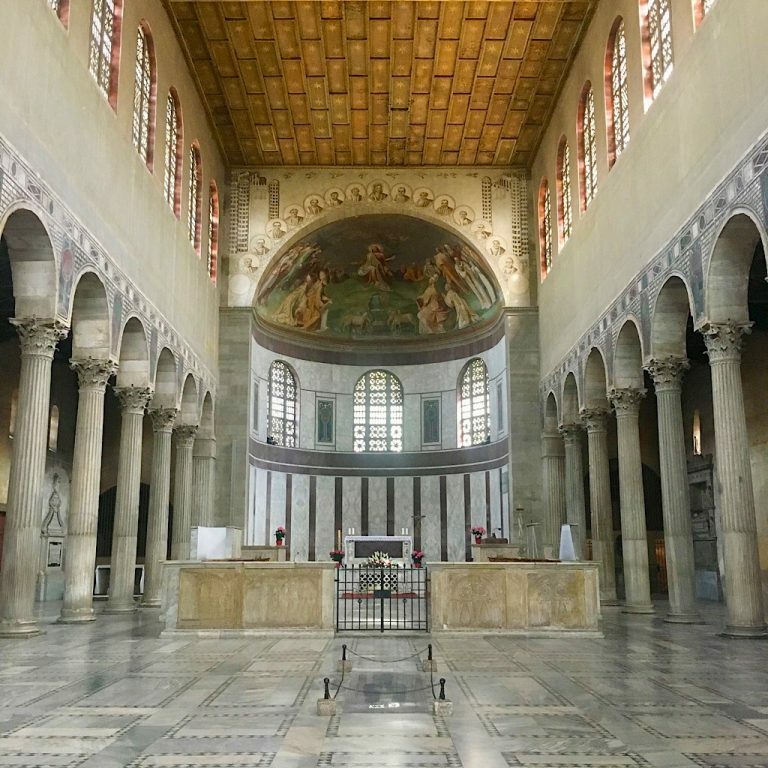 On your right you will soon notice one the most beautiful medieval churches in Rome: Santa Sabina. It dates back to the 5th century. Even if renovated in the following centuries, the 18 wood panels are medieval. There you will see one of the first representations of Christ’s passion. 3. 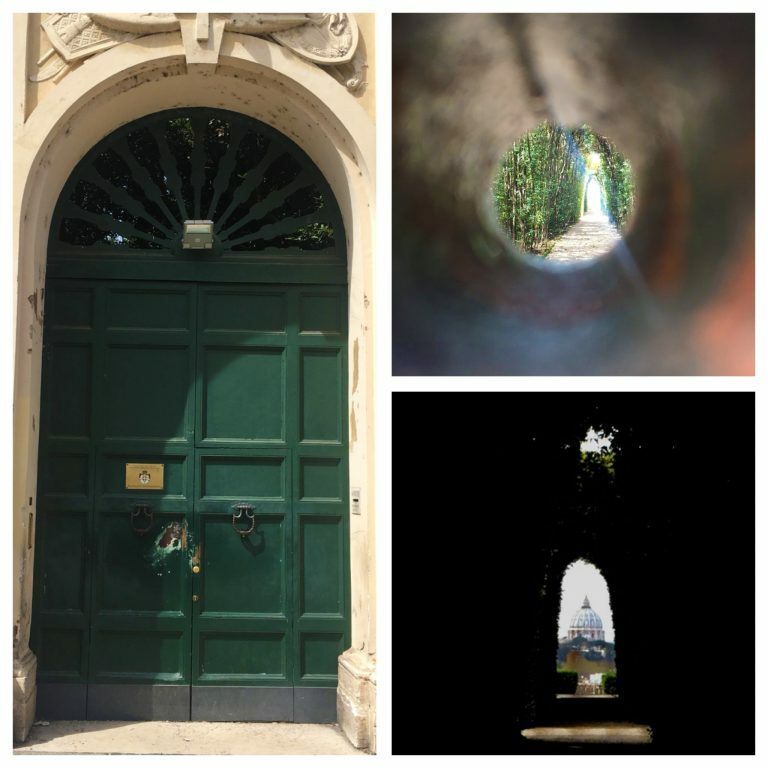 Watch Rome from a Keyhole. 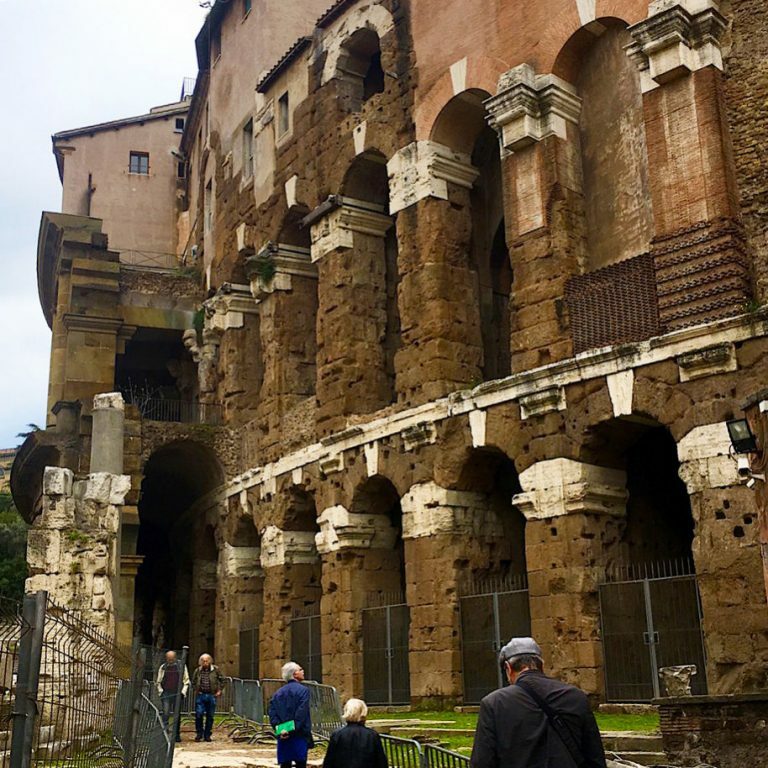 Descend from Aventino and go back to Fori Imperiali to reach the Jewish Ghetto. But first reach Piazza dei Cavalieri di Malta. Here you will find a Palace with a green door. It is the seat of the Knights of Malta. According to a word of mouth, the Knights of Malta chose this place because it overlooks the Vatican. It was a way to show their power to the Pope. Probably this story is told to be true depending on who is telling it. In any case, if you look inside the lock of this gate, you will notice a long path. At the and of this path framed by beautiful plants you will see St Peter’s Basilica. 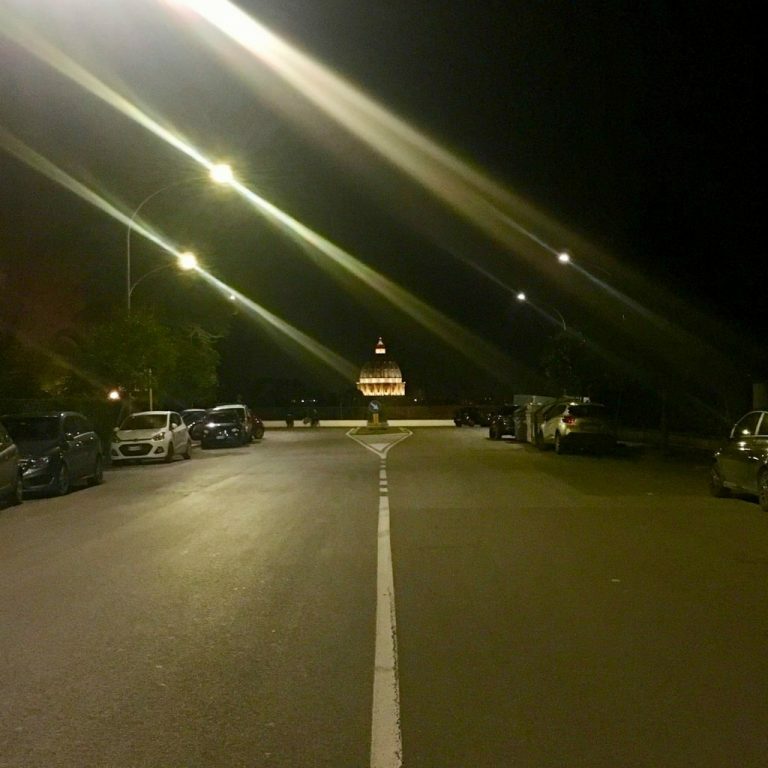 Now, leave the Aventino and go back to Circo Massimo. Take Via del Circo Massimo and descend until Piazza Bocca della Verità. At the entrance of a nice medieval church, Basilica di Santa Maria in Cosmedin, are the remains of an ancient fountain or maybe a manhole. It consists of a huge marble disk where the head of a bearded man is sculpted. The legend says that if you tell a lie while putting your hand inside, the mouth will block it. Are you brave enough to prove your honesty? Now, let’s change area. 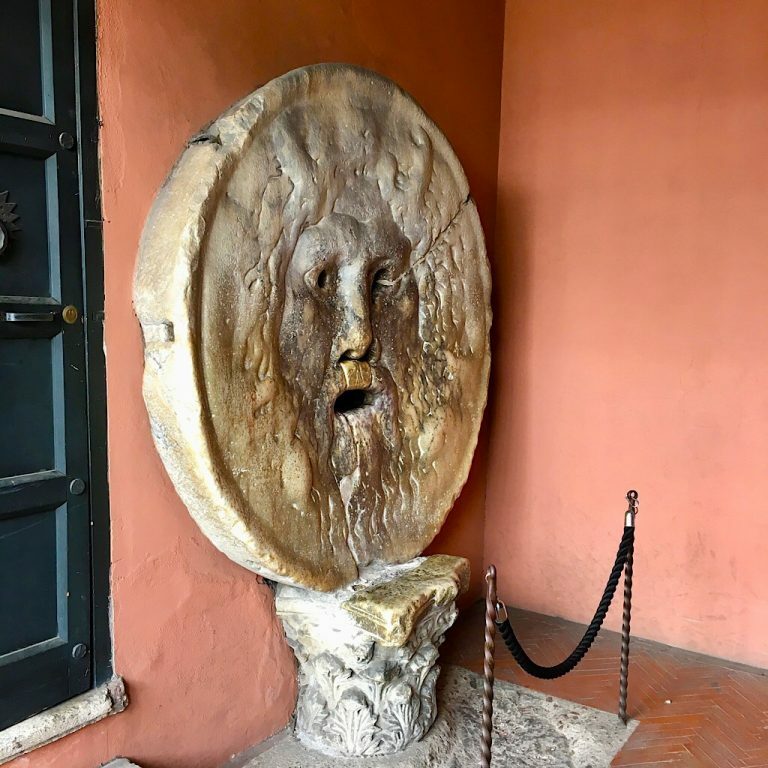 Take the right and leave the Bocca della Verità on your left. On the left, you will notice the Portuno Temple. 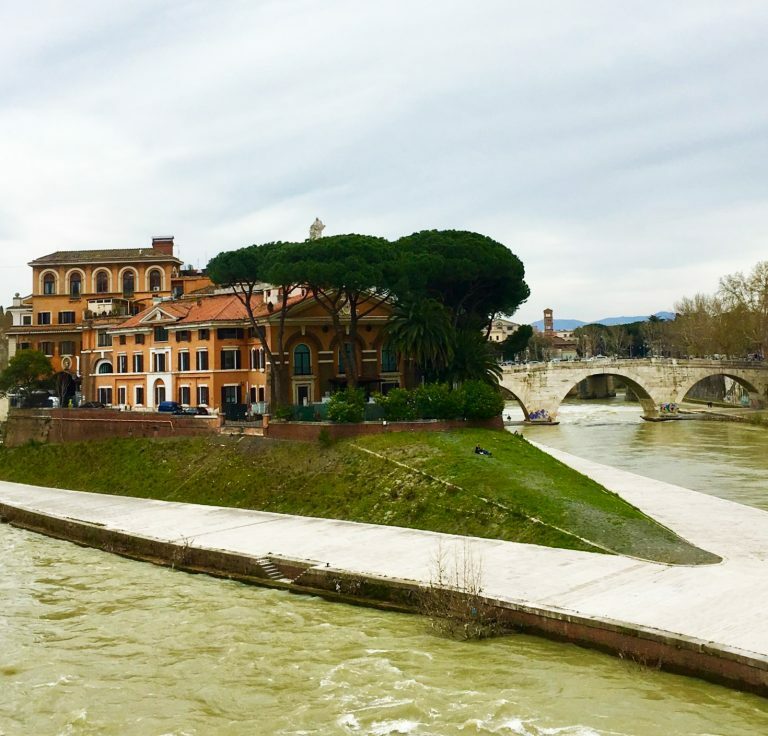 By taking one of the streets on the left, walk along the Tevere river. You will reach the Jewish Ghetto. The Jewish Ghetto develops along Via del Portico di Ottavia. At the very beginning you will find the so called Little Colosseum. The Theatre of Marcello was built under the will of Julius Caesar, but the Emperor died before it was ready. It could host up to 20,000 people. The works finished under Augustus who dedicated it to his favourite nephew Marcello. …and try the real Roman cuisine. Here in the Ghetto, you will find many restaurants and trattorias serving traditional dishes. 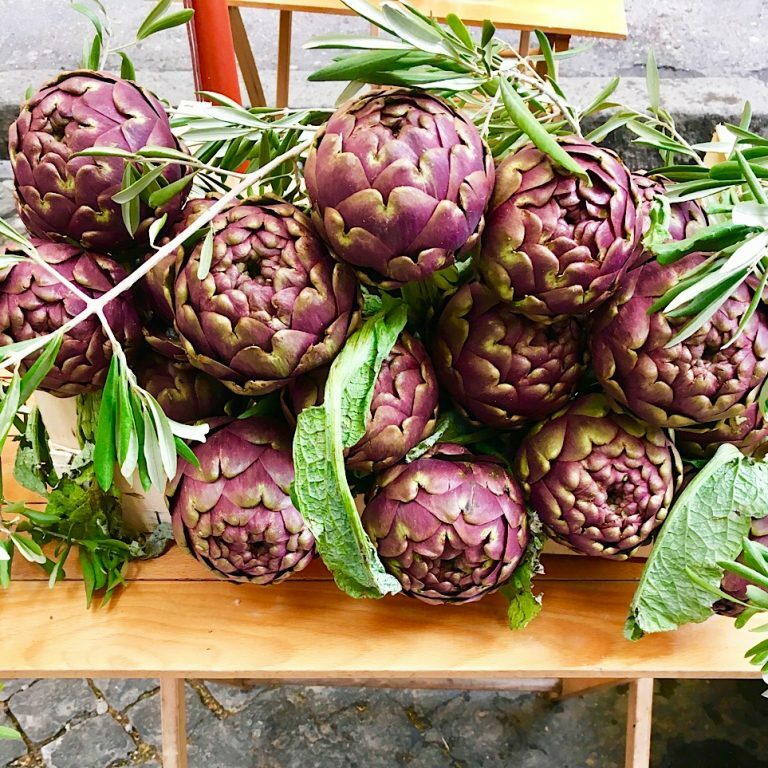 Above all “Carciofi alla Giudia”, fried artichokes. Before leaving this area for Trastevere, you have to pass the Tevere. Here you will find Isola Tiberina. The smallest inhabited island in the world is home to a hospital and some restaurants. From the south part of the Island, you can see the remains of Ponte Rotto, or Broken Bridge, the first bridge made with stones of the Ancient Rome. Next to the Jewish Ghetto is Trastevere. Here you can have a drink or get lost in the many narrow streets. 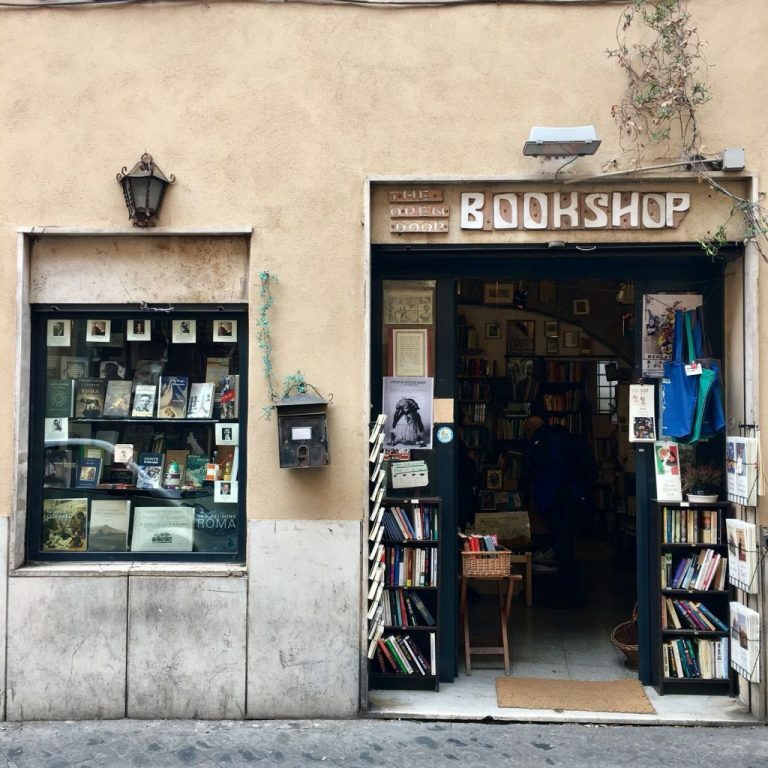 In Via della Lungaretta 23 you will find the Open Door Book Shop, a tiny shop completely packed with new and second hand books. In some buckets you will find books for one or two euros or even for free. A sign at the entrance says: “Don’t steal books, have one from the free books bucket”. So, look for it, or ask to the kind shop assistant and help yourself. Probably the most ancient church in Rome dedicated to Mother Mary, this Basilica is in the very heart of Trastevere. 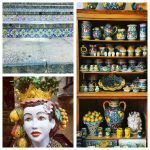 Located in Piazza Santa Maria in Trastevere, this building is home to amazing mosaics. The one on the facade dates back to the 13th Century. Have an ice cream and sit on the steps of the monument which is right in front of the church before or after getting lost into one of the many narrow streets of this neighborhood. Now, our tour is over. You should find a place for dinner or return to your Roman home. And after, you might want to look for a ride (maybe a taxi). This is the only thing you should pay for this one-day free journey. But it will be worth it and mind blowing. If you take the street called Aurelia Antica, ask the taxi driver (or your navigation system) to go to Via Piccolomini. As soon as you reach this street, at the very end, you will notice St Peter’s Church. It will be huge and majestic. Drive or walk towards it. To your great surprise, you will notice that closer you get to the end of the street, the more smaller St Peter’s will appear. Got it? I didn’t make a mistake while writing. If you go closer, it gets smaller, but if you walk in the opposite direction, it becomes bigger. It seems that this optical illusion is given by the buildings along this street. The eyes will frame St Peters considering the buildings on both sides. But When you reach the end of the street, those buildings are left behind you. And they do not frame the church anymore. The eyes will reconsider the distance and you will see the church in a different perspective. Sounds confusing enough? Go there and see it with your own eyes. It will take you few minutes but it will remain in your memories for the rest of your life.